Sony has officially dropped an appeal against a £250,000 fine in the UK over an serious security breach that compromised the personal details of up to 100 million customers. Sony had been ordered to pay the fee by the Information Commissioner's Office in relation to the now-infamous hack on the PlayStation Network, carried out by the Luzlsec collective back in April 2011. Back in January, Sony asserted that it "strongly disagreed" with the ICO's verdict claiming it had simply been the victim of an attack and vowed to appeal the fine. 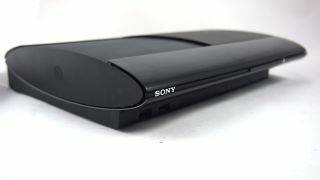 However, the ICO revealed on Friday that the appeal had been dropped as Sony did not want to reveal security system details as part of the process. Reluctantly, it seems, the company has now paid what it owed. A Sony spokesperson told V3: "After careful consideration we are withdrawing our appeal. This decision reflects our commitment to protect the confidentiality of our network security from disclosures in the course of the proceeding. We continue to disagree with the decision on the merits." The 2011 hack knocked the PSN down for over a month as Sony rebuilt its defences against a repeat attack, while at the time the company offered a hefty compensation package for affected users that included free games.